If you follow me on Instagram then you've seen this old chair my husband got on the side of the road for me, along with other chairs, and it didn't have a cushion so I used it as a planter and I kind of love it. In that same pile on the side of the road, I also found this old wire lamp shade that I decided to put a plant in. For some reason, one pot of mums is doing great and the other is not. Thankfully I got these pictures before the other ones completely pooped out on me... I don't know what happened. I absolutely DO NOT have a green thumb so everything dies on my porch but one pot of mums is doing great so maybe I was only meant to have one pot at a time haha it's easier that way too! I wrapped the chain of the porch swing with jute cord that I got at our local farm store and it just completely transformed it. I'm so happy with how it turned out and lucky that I got enough because I didn't measure. I'm impulsive/ impatient like that. I brought out some of my fake and real pumpkins. Most everything on this porch is thrifted so I cant really give a detailed source list but I will tell you where I got some of it below. I love decorating with thrifted or found items because I save SO much money. Trust me, I can spend some serious cash decorating, so the fact that I love thrifting is a blessing for both my wallet and my marriage! 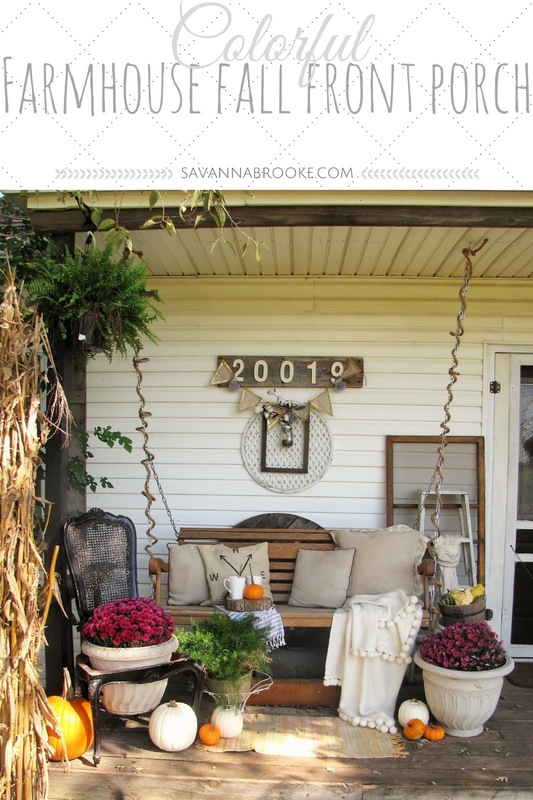 I had so much fun decorating my porch again for fall. 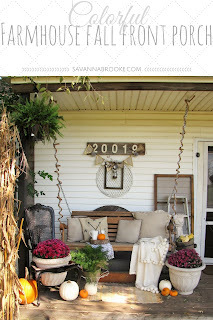 Now that I'm inspired to do the outdoor decorating thing, I'm excited for the seasons coming up and decorating outside. I hope you enjoyed and got some inspiration for your own home. I love coming on here and showing you my home and what I'm up to so thank you SO SO much for supporting it. Have a blessed rest of the week my sweets! !